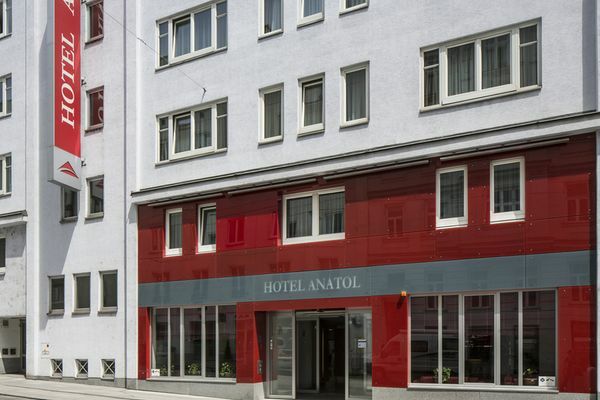 The hotel is close to Mariahilferstraße, the indoor arena Stadthalle and the West Station which makes the 4*-hotel an excellent base for any type of holiday. It is also close to downtown, the Museum district and the Naschmarkt market. The nearest underground station U3 Zieglergasse is 200m away. Clear design, elegant lines and Viennese hospitality await you in the modern city hotel. 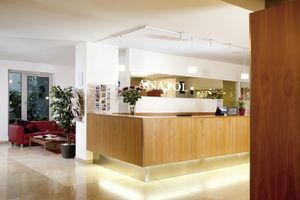 It offers a lobby with 24-hour reception and concierge services, a bright breakfast room, a lobby with a cozy seating area, a 24-hour bar and a conference room for up to 60 people. Free Wi-Fi throughout the hotel. Payable on spot: garage: EUR 22,- per day. Pets: EUR 15,- per night. 62 modern rooms with bath or shower/toilet, hairdryer, air-conditioning, telephone, mini bar, cable TV, a laptop safe and Wi-Fi. Austrian gourmet breakfast buffet with fresh buns and croissants, regional products, 100% organic coffee, Sonnentor muesli and tea, eggs in the glass and selected specialties. Lactose-free and gluten-free products are available on request. Child discount/rates in case of 2 full-paying guests: 0-11 years 100%, 2nd child on request. Minimum stay: 2.11.-3.11., 23.11.-24.11., 30.11.-1.12., 7.12.-8.12., 14.12.-15.12., 21.12.-22.12., 27.2.-3.3., 19.3.-24.3.,5.4.-6.4., 26.4.-27.4., 3.5.-4.5., 7.6.-8.6., 14.6.-15.6., 16.8.-17.8., 27.9.-28.9., 4.10.-5.10. & 25.10.-26.10. 2 nights. 28.12.-1.1. & 19.4.-20.4. 3 nights. For your personal offer please contact our service center.